Today everyone uses their laptops, cell phones and tablets for everything including textbook readings for class. It may seem that the only duty our paper textbooks have, is to collect dust on the book self. This isn’t as true as you might think. There are several pros and cons for both an eTextbook and a physical textbook. I’m here to enlighten the public on which to choose, an eTextbook or a physical textbook. According to Cynthia Boris of NBCNews.com there are various categories of comparison that can be viewed when weighing the pros and cons of an eTextbook and a physical textbook. In her opinion, ease of use, portability and cost are among the most important aspects to consider when making your book decision. Ease of use: Although an eTextbook encourages you to explore the world of knowledge at the drop of your fingertips, does it make it harder to retain the information you are looking for? Some eTextbooks allow you to make notes and highlight for memorizing purposes but according to a study performed by Survey Monkey, nearly 40% of students preferred to use a print book to study with. An eTextbook might be easier to use sometimes while other times there is nothing better than being able to feel the pages of a physical textbook. Portability: At times, textbooks can put a large strain on your back when walking to class. The weight of some textbooks can be several pounds each versus a few ounces for only one tablet to store thousands of e-textbooks on. When taking this into consideration, your back might thank you in a few years. In the end an eTextbook works for some and not for others, no worries though, there will always be physical textbooks to go around. Happy textbook shopping! 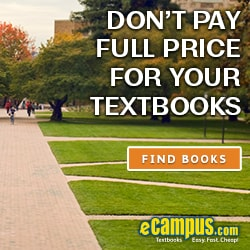 eCampus.com Voted Best Website for Buying College Textbooks, again! We’ve done it again – thanks to you! 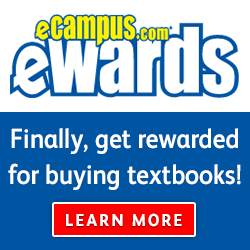 We were voted Best Website for Buying College Textbooks in About.com’s Readers Choice Awards, for the second year in a row. This makes eCampus.com the only company to ever repeat in any of the College Life awards. 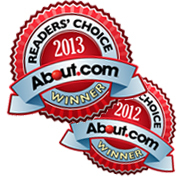 The About.com Readers Choice Awards are given annually and chose by the readers to announce the best of the best. With so many websites available it can be difficult for students to know which ones are reliable, but Readers Choice Awards like this one point them in the right direction. Thanks again for your votes!